I am ancient old soul in woman's body and a mother of two sons (4, 18). I am yoga student and yoga teacher. I love to dance and to travel. I love to be inspired and inspire. I love to listen and learn and to share and teach. I believe in God and see life as a wonderful divine game. As a yogi that stays in a society I embrace the challenges that make me work harder on myself to become more and more conscious, happy and healthy. My spiritual name is Daleep Kaur. Daleep means to have compassion. Kaur means the Princess/Lioness of God who walks with grace and power throughout her life. Having the name Daleep Kaur means to have the love to serve all. Compassion means that from a neutral base you serve with love. These words are my mission, my motto and my everyday inspiration quote. I was born in Moscow, Russia and lived there for 35 years until I moved to Eindhoven, Netherlands 4 years ago. I graduated from Financial Academy and have worked in banks and audit companies for 10 years before I turned my life totally towards yoga and holistic living. Yoga and massage were my weekly routine against stress back then. After leaving my business career in 2005 I dedicated myself fully to practice and study of yoga and bodywork. Since then I gave group classes in yoga clubs, fitness centers and welness studios, yoga classes for children at private school and yoga class at office. I have also had wide experience with individual classes and healing sessions for people from 5 to 80 years old. 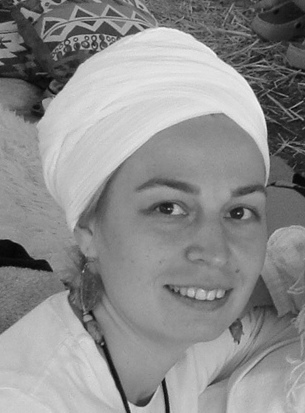 2013 - Healthy Breast Foundations Programm by Sat Dharam Kaur, N.D. Without experience even the best knowledge will not turn into own wisdom. No certificates will guarantee that somebody can teach anything. Especially for the teacher - my presence and radiance must work for you. My ultimate job is to be a vehicle, a forklift and a lighthouse for anyone who is searching for experience of beauty of life and ready to be elevated.